Rebecca has a practice split between family finance and civil, encompassing Chancery, Administrative, Mental Health and Immigration. Rebecca has a sound understanding of legal principles and understands the importance of a resolution meeting the client’s needs in ‘the real world’. She has particular skill in identifying the issues most important to the client and working both legally and practically towards meeting these goals. Rebecca has excellent IT skills, working entirely electronically in suitable cases, and uses these skills to organise and analyse the, often vast, amount of information generated as cases move through the court system. Rebecca is approachable and available to advise and discuss matters, both big and small, as a case progresses. Many aspects of Rebecca’s practice, including immigration and community care, involve public law challenges by way of judicial review. Rebecca acts for both claimants and defendants in the full range of contested probate matters including challenges to the validity of wills and applications to replace an executor. She also deals with Inheritance Act claims, including those arising post-divorce. Rebecca is an experienced practitioner in all types of family financial disputes including matrimonial finance, financial provision after an overseas divorce, cohabitee disputes and financial provision for children. She deals with a wide range of cases including those involving companies, inheritances and financial misconduct. Rebecca has particular experience in matrimonial finance cases involving owner-run companies, and uncooperative opposing parties and with foreign assets. Rebecca’s practice also includes enforcement of financial orders including by way of committal. In cohabitee disputes she appears in both the High Court and the County Court, dealing frequently with both the more usual TOLATA claims in relation to property and also disputes concerning chattels and, on occasion, pets. She is increasingly involved in serious cases against litigants in person in both matrimonial finance and cohabitee disputes. Rebecca is a frequent speaker at both internal and external conferences in relation to cohabitee and matrimonial finance. Rebecca is a regular speaker at the 30 Park Place education conference and is available to advise and represent parties in the full range of education contexts, including those areas where education and community care or education and immigration overlap. Rebecca has a well-developed practice in Immigration and Asylum law and appears frequently before both the First Tier Tribunal and the Upper Tribunal. She is also available to advise at the stage of administrative review, including drafting the grounds for review. She also and advises and appears in Judicial Review proceedings in an immigration context. She acts for immigrants, employers and other organisations such as colleges in respect of decisions, or failures to act, by UK Visas and Immigration. She also advises both Local Authorities and individuals on the scope of Local Authorities’ accommodation and other obligations towards individuals who are subject to immigration control, including both lawful migrants (including EEA migrants) and those in or remaining in the UK unlawfully. 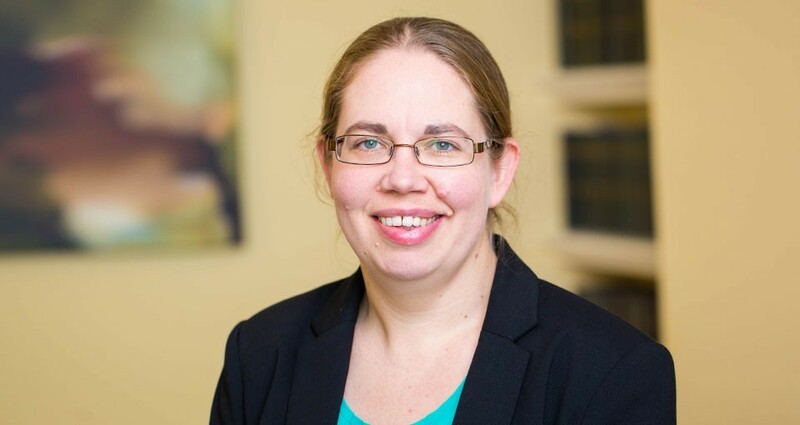 Rebecca provides written advice on immigration issues arising in other contexts, for example advising the Family Court in relation to the current and likely future immigration status of parties and children involved in childcare proceedings. Rebecca has particular skill in using shuttle negotiation and round-table meetings to resolve matters without the expense of fully contested court proceedings. Rebecca appears regularly in the Court of Protection, including in cases where capacity in in dispute, and advises in relation to the Depravation of Liberty Safeguards. Rebecca has a growing practice in community care law. She advises and appears in judicial review proceedings in relation to community care assessments and continuing health care. Rebecca is available for public access work in suitable cases.